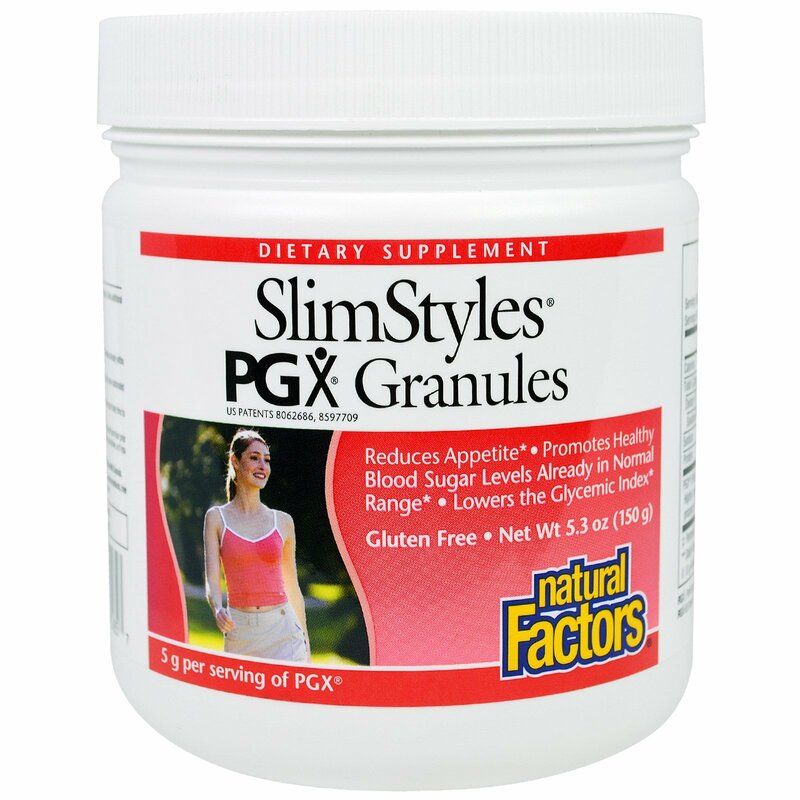 PGX Granules can be taken with or without food with a glass of water (8-16 oz. or 1-2 cups) or as directed by a health professional. Drink additional water after ingesting PGX. Use consistently with or without meals or with a healthy snacks to greatly reduce appetite and curb food cravings. Serving Option: PGX Granules are unflavored and can also be sprinkled onto moist food, yogurt, fruit salad (fresh or no sugar varieties), oatmeal, soup, non-carbonated low calorie beverage or meal replacement. Week 1: 1/2 scoop, once daily. Week 2: 1/2-1 scoop, once daily. Week 3 and beyond: 1 scoop, once daily. 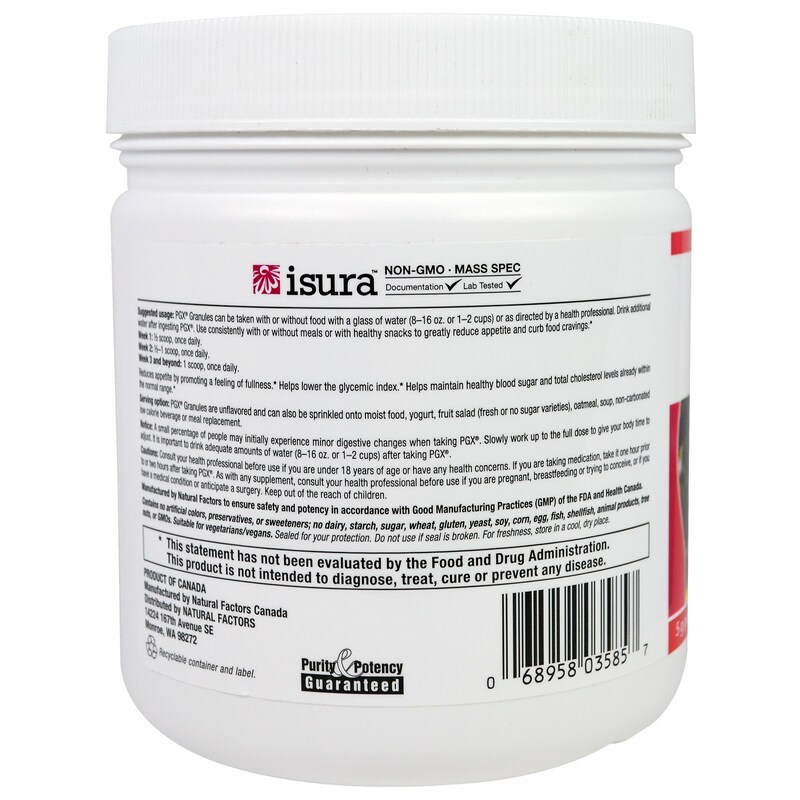 Contains no artificial colors, preservatives, or sweeteners; no dairy, starch, sugar, wheat, gluten, yeast, soy, corn, egg, fish, shellfish, animal products, tree nuts, or GMO's. Suitable for vegetarians/vegans. A small percentage of people may initially experience minor digestive changes when taking PGX. Slowly work up to the full dose to give your body time to adjust. It is important to drink adequate amounts of water (8-16 oz. 1-2 cups) after taking PGX. Consult your health professional before use if you are under 18 years of age or have any health concerns. If you are taking medications, take it one hour prior to or two hours after taking PGX. As with any supplement, consult your health professional before use if you are pregnant, breastfeeding or trying to conceive, or if you have a medical condition or anticipate a surgery. Keep out of the reach of children. Highly purified water soluble polysaccharide complex manufactured using the proprietary EnviroSimplex process: Konjac-mannan (Amorphophallus konjac) (root), xanthan gum, sodium alginate. 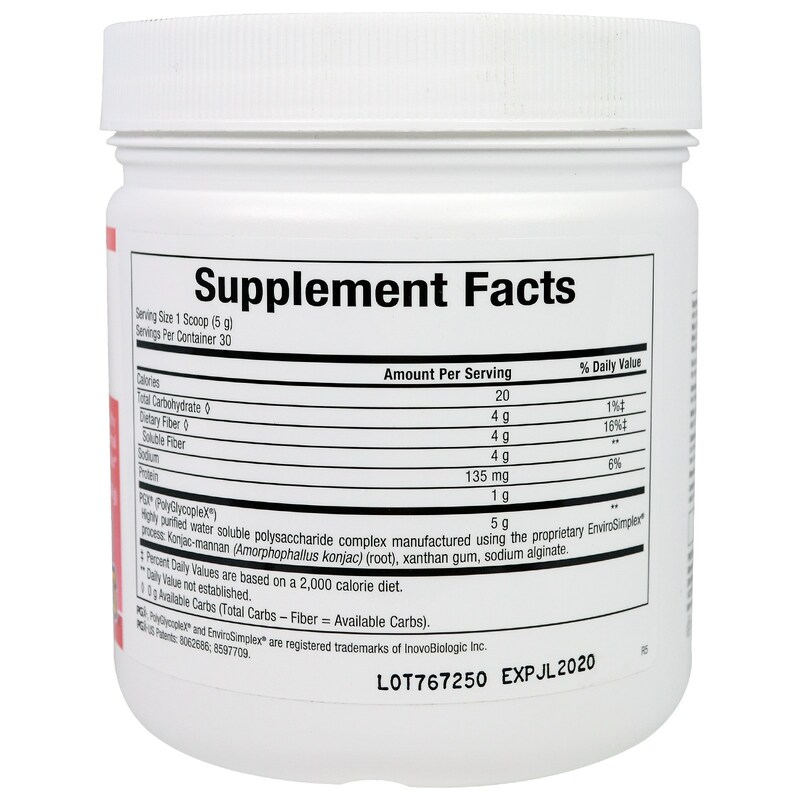 ♦ 0 g Available Carbs (Total Carbs - Fiber = Available Carbs).